A great way to spin your marketing message! 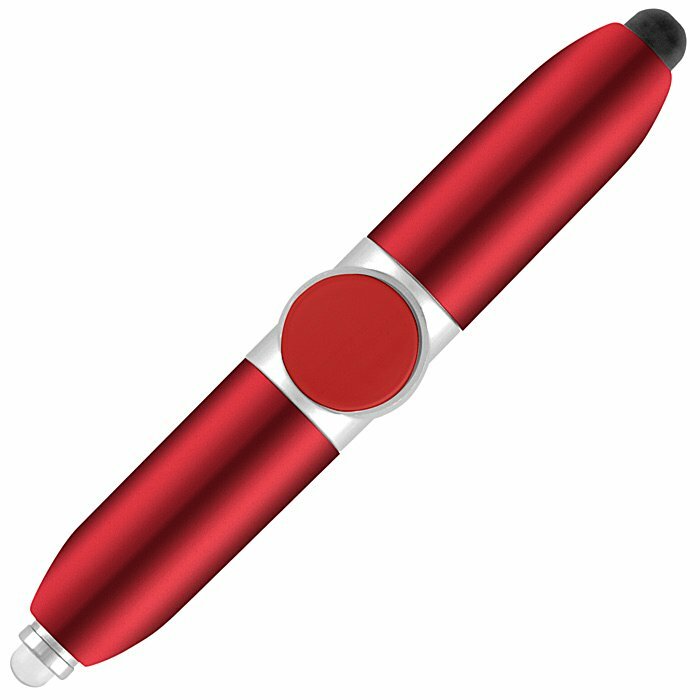 On trend fidget spinner with a black ink ballpen along with a stylus at one end and an LED light at the other! 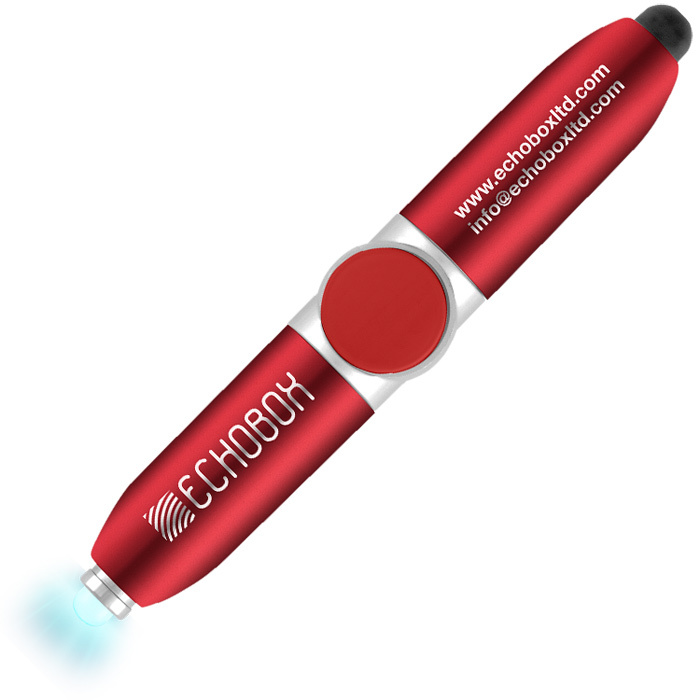 A fun novelty gadget is sure to attract attention. 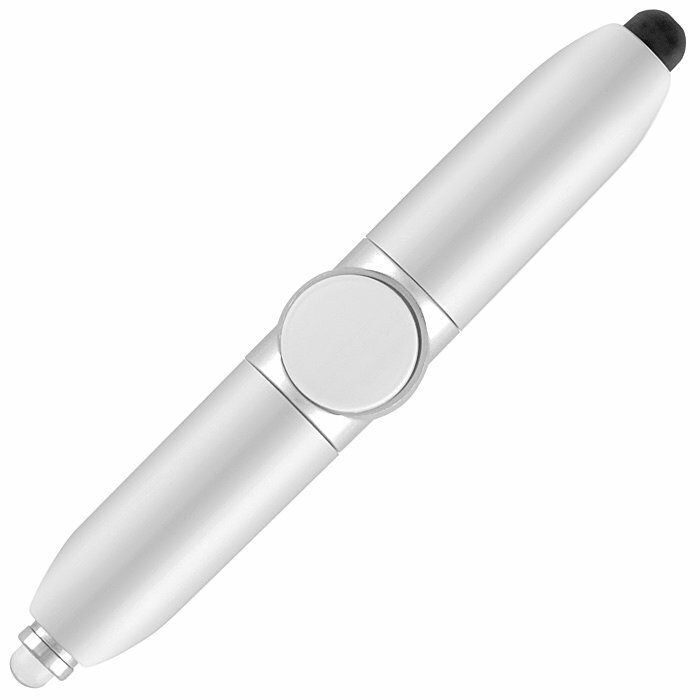 Price includes 1 colour print in 2 positions to the barrel of the pen. Print area: 20 x 15mm (Barrel Light and Barrel Stylus up to 1 colour) or 20 x 7mm (Barrel Light - Multicolour and Barrel Stylus - Multicolour for up to 4 colours).